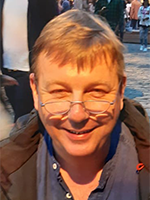 Danny Dorling joined the School of Geography and the Environment in September 2013 to take up the Halford Mackinder Professorship in Geography. He was previously a professor of Geography at the University of Sheffield. He has also worked in Newcastle, Bristol, Leeds and New Zealand, went to university in Newcastle upon Tyne, and to school in Oxford. Much of Danny's work is available open access (see www.dannydorling.org). With a group of colleagues he helped create the website www.worldmapper.org which shows who has most and least in the world. His work concerns issues of housing, health, employment, education, wealth and poverty. His recent books include, co-authored texts The Atlas of the Real World: Mapping the way we live and Bankrupt Britain: An atlas of social change. Sole authored books include, So you think you know about Britain and Fair Play, both in 2011; in 2012 The No-nonsense Guide to Equality, The Visualization of Social Spatial Structure and The Population of the UK; Unequal Health, The 32 Stops and Population Ten Billion in 2013; All That is Solid in 2014; and Injustice: Why social inequalities persist revised in 2015. In 2016 with Bethan Thomas he authored People and Places: A 21st century atlas of the UK, A Better Politics: How government can make us happier and with Carl Lee: Geography: ideas in profile. In 2017 with Dimitris Ballas and Ben Hennig he produced The Human Atlas of Europe and in 2017 he also wrote the sole authored book The Equality Effect: Improving life for everyone. Before a career in academia Danny was employed as a play-worker in children's play-schemes and in pre-school education where the underlying rationale was that playing is learning for living. He tries not to forget this. He is an Academician of the Academy of the Learned Societies in the Social Sciences, a former Honorary President of the Society of Cartographers and a current patron of Roadpeace, the national charity for road crash victims. Dorling, D. (2018) Peak Inequality: Britain's ticking timebomb. Policy Press, Bristol. pp. 328. ISBN: 978-1447349075. Dorling, D. (2018) Do we need economic inequality? . Polity. pp 190. ISBN: 978-1-5095-1655-1. Dorling, D. and Gietel-Basten, S. (2018) Why Demography Matters. Polity. pp 267. ISBN: 978-0-7456-9841-0. Dorling, D. (2017) The Equality Effect: Improving life for everyone. New Internationalist. pp 240. ISBN: 978-1-78026-3908. Ballas, D., Dorling, D. and Hennig, B. (2017) The Human Atlas of Europe: A continent united in diversity. Policy Press. pp 188. ISBN: 978-1447313540. Dorling, D. and Lee, C. (2016) Geography: Ideas in Profile. Profile Books. pp. 176. ISBN: 9781781255308. Dorling, D. (2016) A Better Politics: How Government Can Make Us Happier. London Publishing Partnership. Dorling, D. and Thomas, B. (2016) People and places: A 21st-century atlas of the UK. Policy Press, University of Bristol. ISBN: 9781447311362. Dorling, D. (2015, revised edition) Injustice: Why social inequality still persists. Bristol: Policy Press. 484 pp. ISBN: 9781447320753. Dorling, D. (2014) Inequality and the 1%. Verso Books, 240 pp. ISBN: 9781781685853. Ballas, D., Dorling, D. and Hennig, B. (2014) The Social Atlas of Europe, Policy Press, 256 pp. ISBN: 978-1447313533. Dorling, D. (2014) All That is Solid. Allen Lane, 392 pp. ISBN: 9781846147159. Dorling, D. (2013) Population 10 Billion. Constable and Robinson. pp. 448. ISBN: 9781780334912. Dorling, D. (2013) Unequal Health: The scandal of our times. Policy Press, Bristol. pp. 400. ISBN: 9781447305132. Dorling, D. (2013) The 32 Stops. Penguin. pp. 176. ISBN: 9781846145605. Dorling, D. (2013) The Population of the UK, 2nd Ed. SAGE. pp. 232. ISBN: 9781446252970. Dorling, D. (2012) The Visualization of Spatial Social Structure. Wiley. pp. 401. ISBN: 9781119962939. Hiam, L., Dorling, D. and McKee, M. (2018) The cuts and poor health: when and how can we say that one thing causes another? Journal of the Royal Society of Medicine, 111(6): 199-202. Ballas, D., Dorling, D. and Hennig, B.D. (2017) Analysing the regional geography of poverty, austerity and inequality in Europe: a human cartographic perspective, Regional Studies, 51 (1): 174-185. Hiam, L., Dorling, D., Harrison, D. and McKee, M. (2017) What caused the spike in mortality in England and Wales in January 2015? Journal of the Royal Society of Medicine, 110(4): 131-137. Morris, T., Dorling, D. and Davey Smith, G. (2016) How well can we predict educational outcomes? Examining the roles of cognitive ability and social position in educational attainment. Contemporary Social Science, 11 (2-3): 154-168. Rodriguez, J.M., Geronimus, A.T., Bound, J. and Dorling, D. (2015) Black lives matter: Differential mortality and the racial composition of the U.S. Electorate, 1970-2004. Social Science and Medicine, 136-137: 193-199. Dorling, D. (2014) Commentary: All the presidents' children. International Journal of Epidemiology. (Download PDF). Dorling, D. (2013) Fairness and the changing fortunes of people in Britain. Journal of the Royal Statistical Society A, 176(1): 97-128. Dorling, D. (2012) Inequality constitutes a particular place. Social and Cultural Geography, 13(1): 1-9. Fahmy, E., Gordon, D., Dorling, D., Rigby, J. and Wheeler, B. (2011) Poverty and place in Britain, 1968 - 99. Environment and Planning A, 43(3): 594-617. Pearce, J.R. and Dorling, D. (2010) The influence of selective migration patterns among smokers and nonsmokers on geographical inequalities in health. Annals of the Association of American Geographers, 100(2): 393-408. Thomas, B., Dorling, D. and Davey Smith, G. (2010) Inequalities in premature mortality in Britain: observational study from 1921 to 2007. British Medical Journal, 341:c3639.